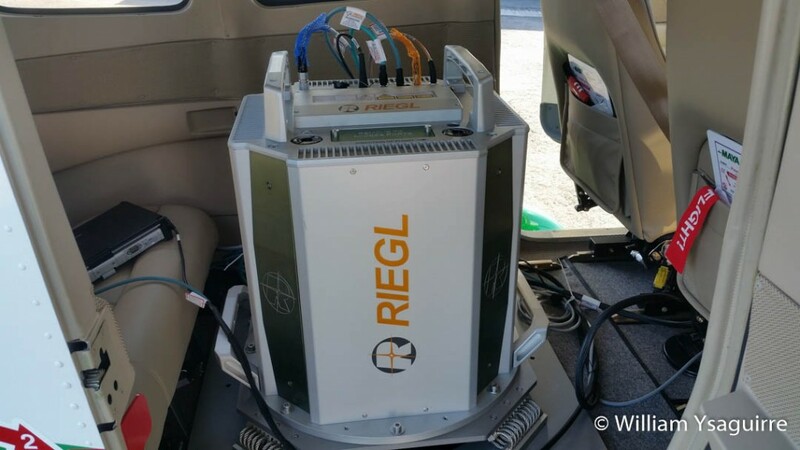 To better assess and mitigate the risk factors of hurricane storm surge and Climate Change effects, the Caribbean Community Climate Change Center (5C’s) has acquired a USD$2.0 Million airborne Light (Laser) Detection and Ranging (LiDAR) system. 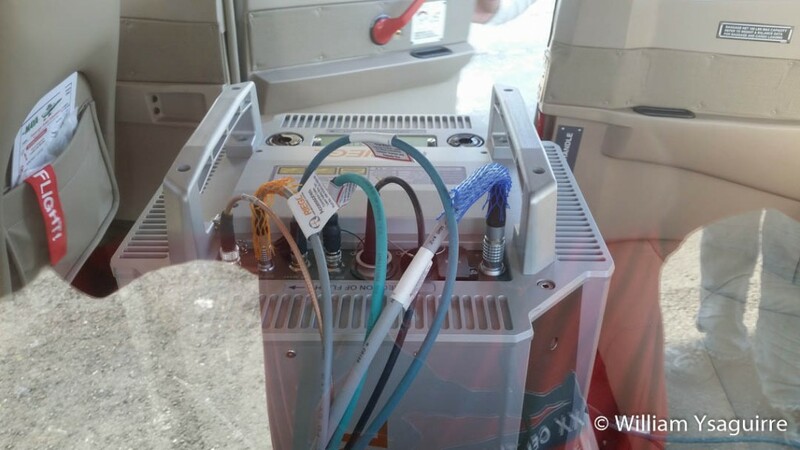 The LiDAR camera is mounted in a factory new USD$605,000 Cessna 206, which Maya Island Air will help to operate and maintain. Maya Island Air’s chief executive officer Chris Sosa joined 5C’s executive director Kenrick Leslie Ph.D., science advisor Ulric Trotz Ph.D. and USAID mission director Christopher Cushing in launching the new system at the Barry Bowen Municipal Airport in Belize City on Monday afternoon, December 3rd. 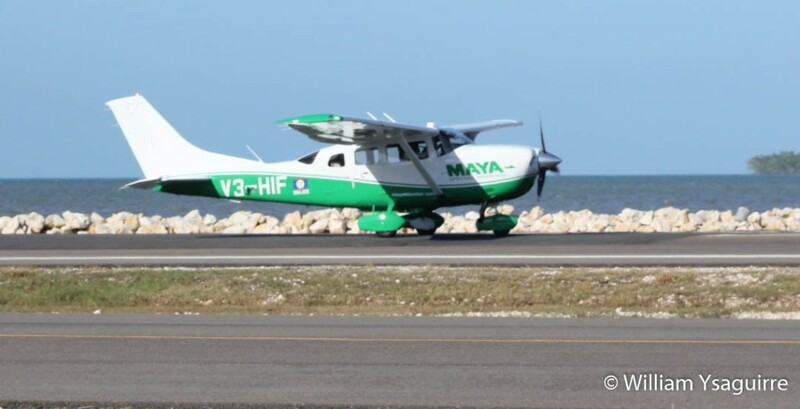 Cushing applauded the public-private partnership of Maya Island Air and the 5C’s in rolling out this new, state-of-the-art, super-classified LiDAR service to the wider Caribbean, and hoped that it would serve as a model for others to follow. The new LiDAR will help 5C’s monitor, predict and respond to the effect of natural disasters, and other countries are already lining up to hire 5C’s services to produce LiDAR data for their territories. 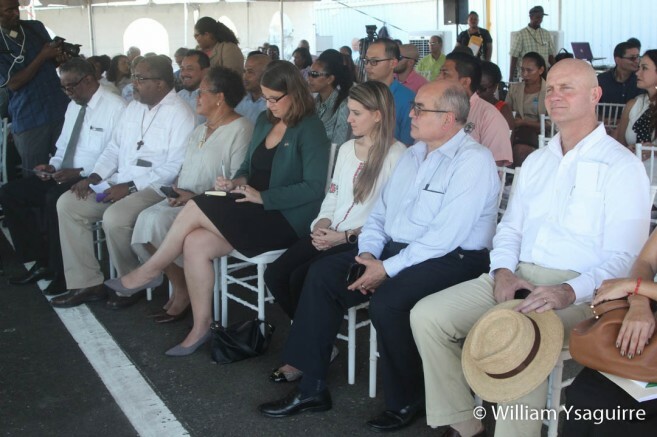 USAID mission director Cushing stated that the United State Agency for International Development (USAID) for the Eastern Caribbean, based in Barbados, was pleased to help with an approximately USD$2 Million investment to assist the region’s development. 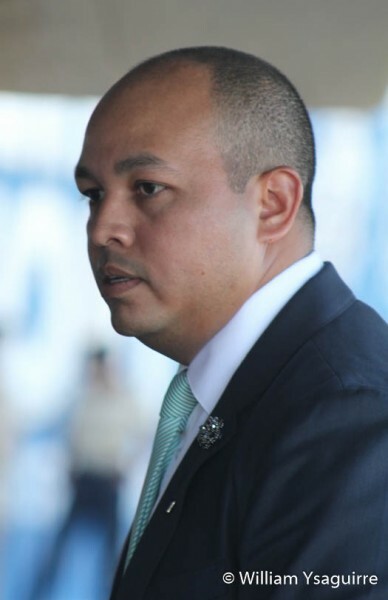 The 5C’s kicked in US$700,000 from its own funds and was also able to leverage US$1.5 Million from the Caribbean Development Bank, and another $600,000 from the government of Italy, to help with start-up operational costs. According to Cushing USAID funds had also helped “develop the countries’ ability to develop successful proposals to access international financing, based on sound data and information, to support projects which strengthen the region’s ability withstand natural disasters.” To this end, the project has obtained early warning systems and all-weather systems to be placed across the eastern and southern Caribbean. 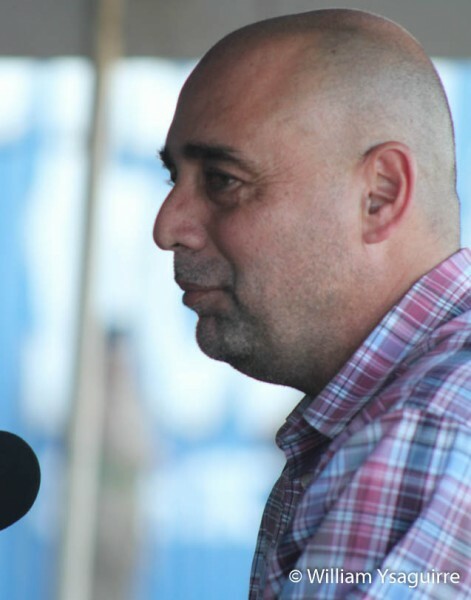 As part of the Caribbean Climate Change Adaptation Project (CCCAP) project, USAID also handed over information systems at 5C’s headquarters in Belmopan on Monday morning, to store and process climate data. These will be used by decision-makers, the education fraternity and key sectors such as agriculture, tourism and health and other interested users across the region. As the new Cessna cruises at 165mph at an altitude of 5,000 feet, its on-board LiDAR camera will scan the land below, to produce a digital topographical model of the coastal land areas and the contours of the seabed immediately offshore. Through repeated scans of these coastal areas over time, 5C’s will be able to monitor changes in the ocean floor before and after natural disasters, which will help them to predict the damage which may be caused by a storm surge. The government planners and key decision makers throughout the region will be able to use this information to identify vulnerability and take measures to protect people and assets in these countries. 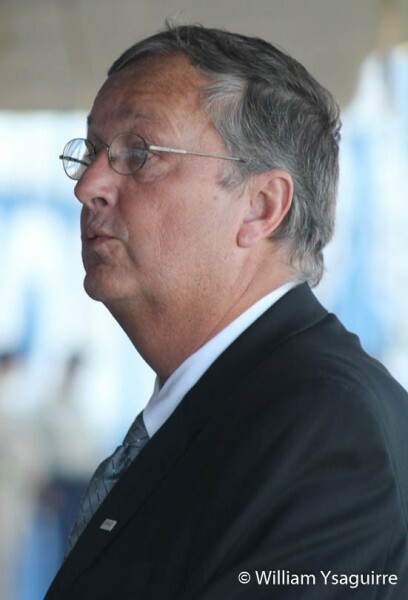 The acquisition of the new LiDAR system has been a life-long dream for 5C’s director Kenrick Leslie Ph.D., who had been integrally involved in the development of laser mapping technology before he joined 5 C’s. 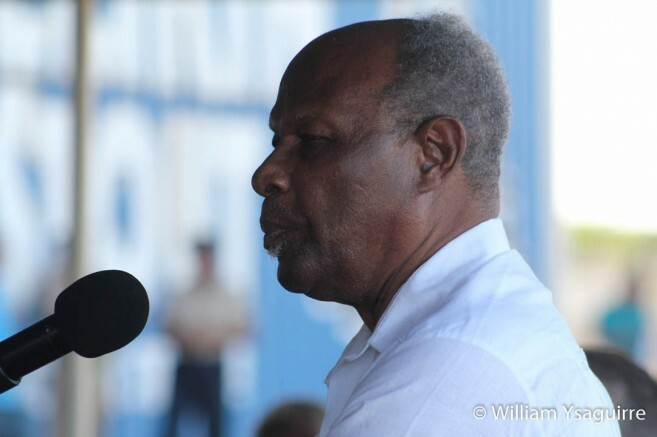 He said the 5C’s has long felt the need to update its topographical data for the coastal region of all the CARICOM territories, both on-shore and offshore, but LiDAR data was only obtainable through foreign consultants and was prohibitively expensive. Foreign consultants were also not the most desirable option since they analyzed the data to offer recommendations to the client, but the LiDAR data remained with the consultant. Leslie pointed out that the 5C’s also did not need just a one-off scan, but repeated scans over time to monitor the changes. The LiDAR technology is so sensitive that 5C’s was only able to purchase this system with special dispensation from U.S. government. 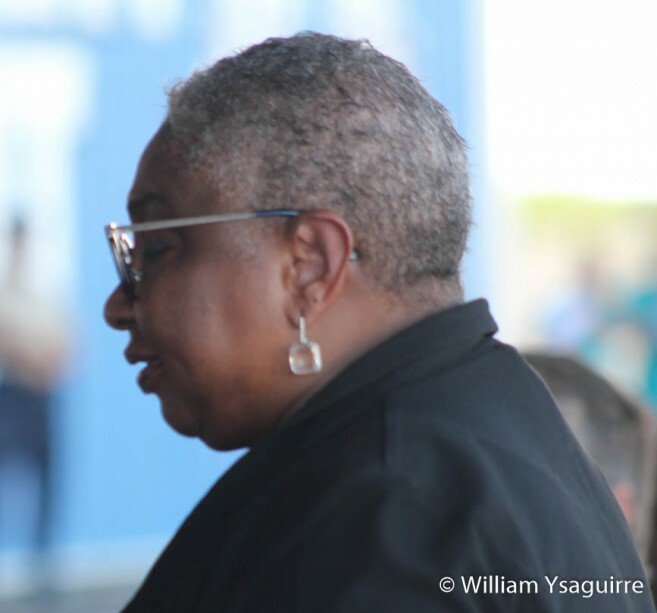 CDB’s coordinator and lead environmental specialist Cheryl Dixon heralded the new system, noting that CARICOM needed up-to-date topographical data, to factor in the effects of Climate Change when planning future infrastructure development and investments, but what was previously available was out-dated, and spotty at best. 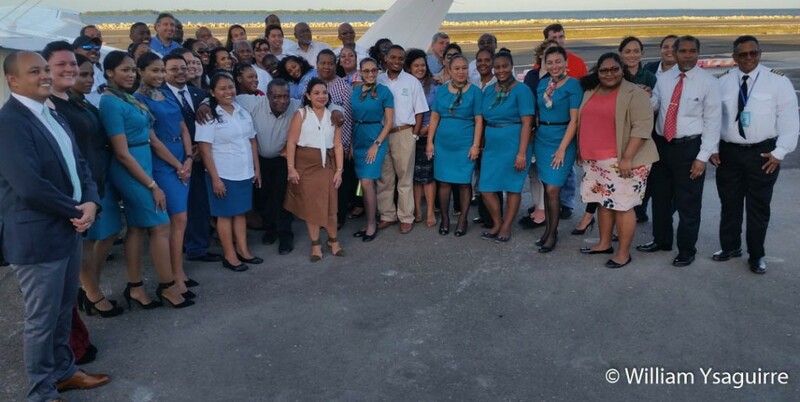 CEO Chris Sosa pledged Maya Island’s continued and dedicated support to roll-out this service to the rest of the Caribbean. 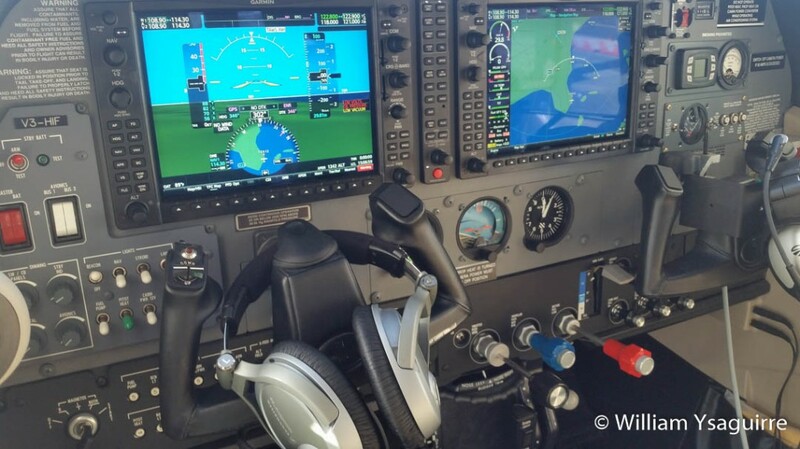 The new Cessna is an all-weather plane, as it is equipped with the most advanced avionics and navigation instruments to ensure it can fly blind through stormy weather to carry out its mission. 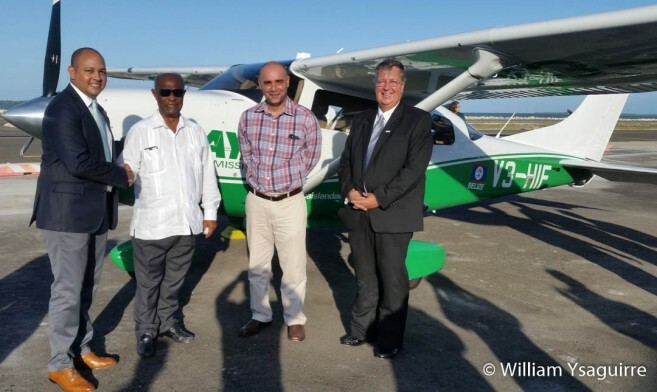 He said the 5C’s had first approached Maya Island Air in 2016 to partner in this project, and Maya has now trained tow of its pilots: William Whelan and Kevin Humphreys, to fly the aircraft and operate the LiDAR. Maya Island Air will maintain the aircraft and provide all avionics support for the flights. Minister of State for Agriculture, Fisheries, Forestry, the Environment, Sustainable Development, and Climate Change Hon. Omar Figueroa also welcomed the new LiDAR system which will provide geo-spatial data at an affordable cost to help Belize achieve resiliency to Climate Change. The right reverend Bishop Philip Wright of the Anglican Diocese was on hand to give the invocation, and other honored guests included Minister Hon. 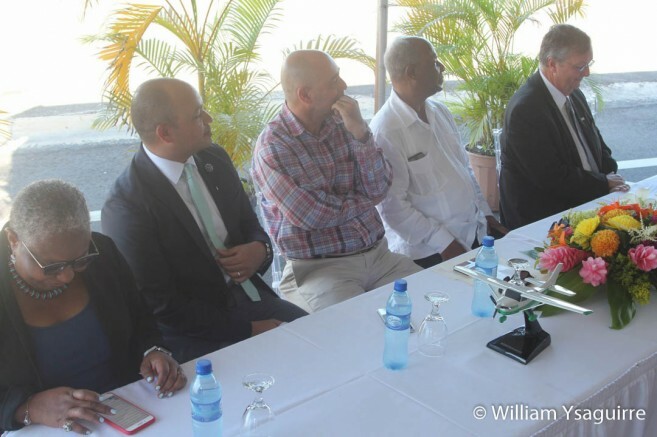 Carla Barnett, Opposition Leader John Briceño, Belize City Mayor Bernard Wagner, Chief Justice Kenneth Benjamin and members of the diplomatic corps.